As part of the Holi festivities we are planning another edition of your favorite semi-annual magazine "Vihara". 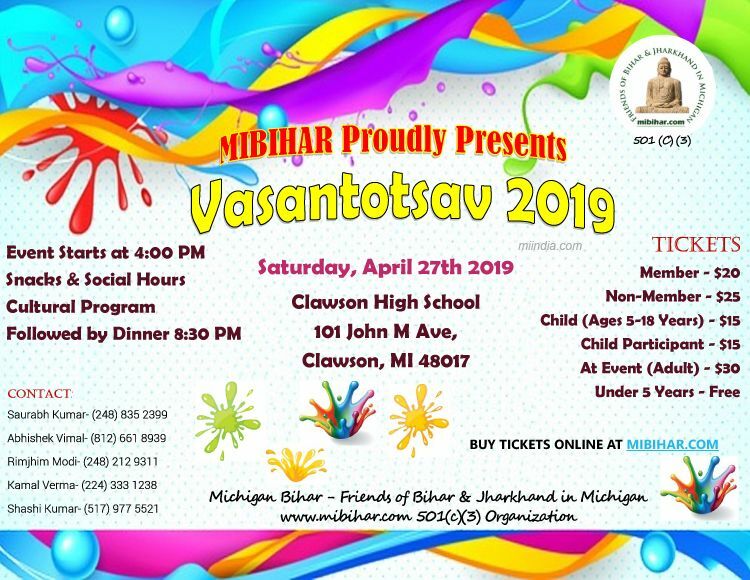 The editorial team of MIBIHAR is inviting entries for the 2019 Vihara Vasantotsav edition. 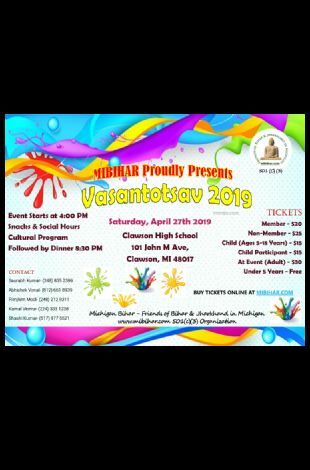 This website also hopes to connect you to the people of Bihar and Jharkhand who have made Michigan their new home. The goal of this website is to help you reconnect with old friends and to form new bonds with everyone in the local community. Friends of Bihar and Jharkhand in Michigan is a non-profit forum that strives for diversity.